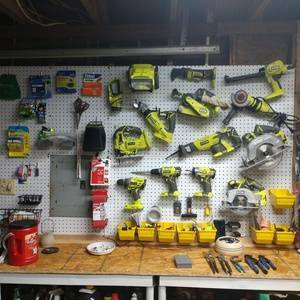 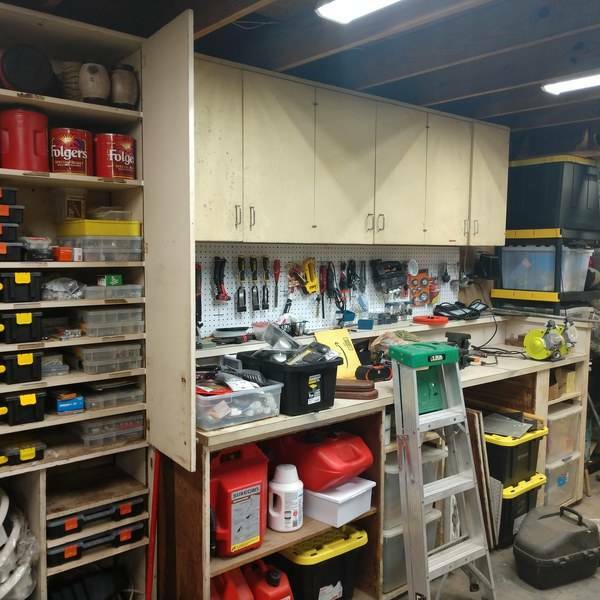 Started to organize, build a diving wall with Pegboards for Ryobi storage. 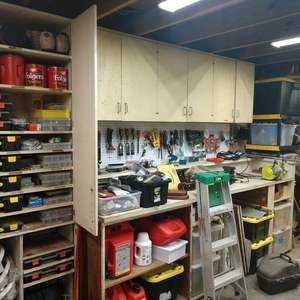 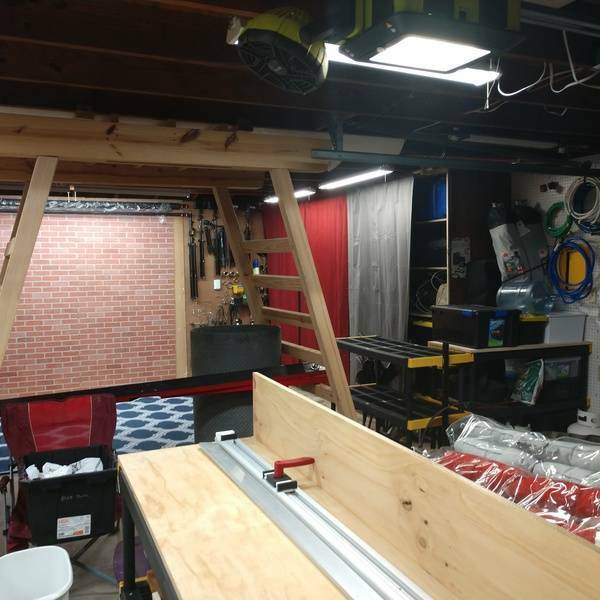 Build countertop/workbench and added shelves. 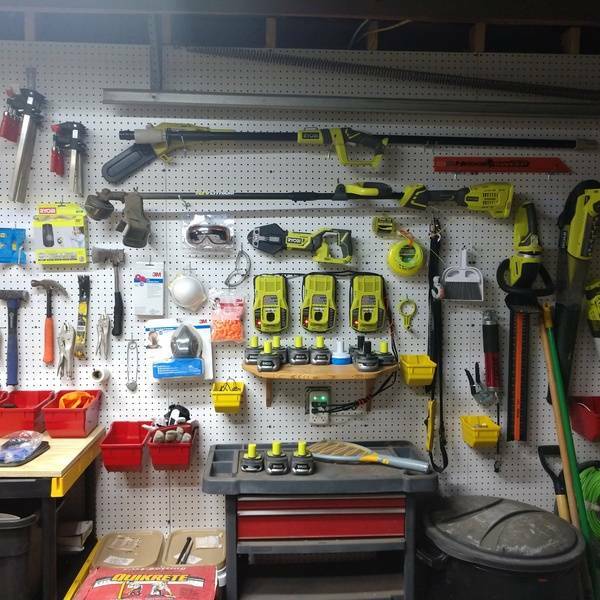 Using a variety of Ryobi Tools to get the job done. 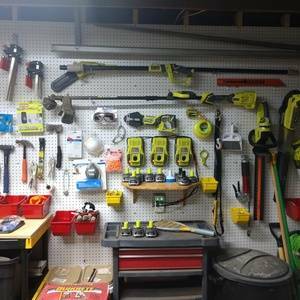 Started to organize, build a diving wall with Pegboards for Ryobi storage. Build countertop/workbench and added shelves. Using a variety of Ryobi Tools to get the job done.